According to a new study, researchers at University of Tennessee, Knoxville. have found that Poor sleep in type 2 diabetes may lead to slower wound healing. The research has appeared in the journal SLEEP. One in three adult Americans suffers from prediabetes and are at higher risk of developing Type 2 diabetes at some point in their lives. As it is people with Type 2 diabetes, high glucose levels and poor blood circulation and nerve damage have slow wound healing. 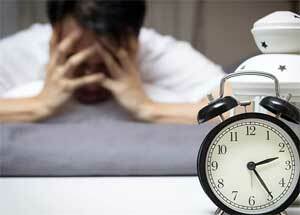 Furthermore, Sleep disorders can also weaken the immune system and slow healing. Sleep disorders and Type 2 diabetes are intimately connected; it has been widely documented that lack of sleep can create metabolic changes like those seen in patients with insulin resistance. The results of the study confirm that sleep plays an especially important role in wound healing among obese mice with Type 2 diabetes.